Surviving by a thread: Schaefer Screw Company, Detroit. 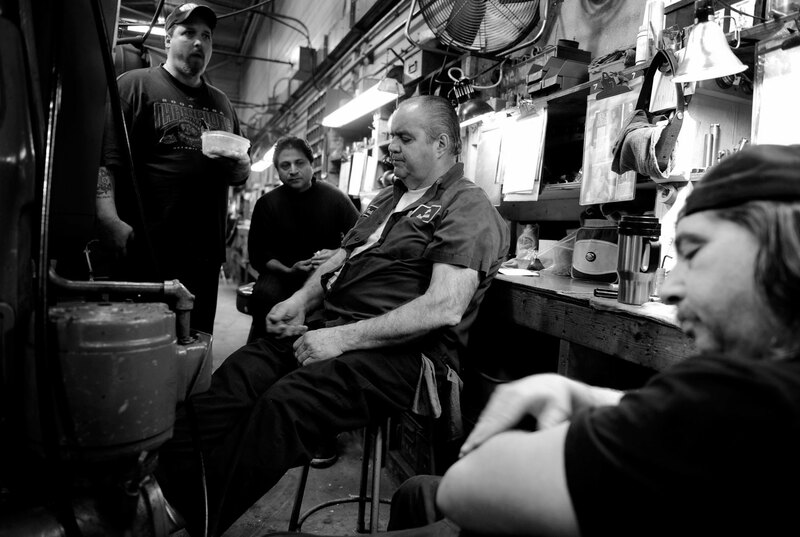 (4 of 6) Ted Christianson, center, who has worked at the factory for 50 years, sits with his co-workers during their 1/2 hour lunch break, including Tom Roulo, from left, Abid Zaidi and Ernest Snider. Most of the workers have seen their hours and wages decrease.